[Scott] was trying to fix a laptop, and we all know how that sometimes ends. 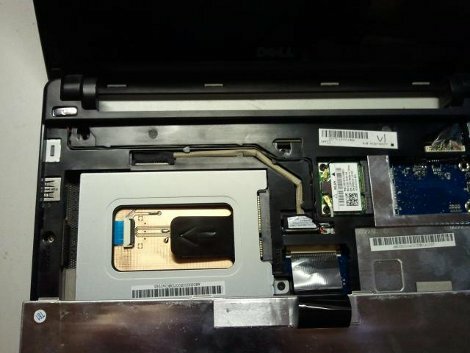 Having a spare 128GB solid state drive and a Dell Mini 10 netbook to shove it in, there was only one problem, the drive did not have SATA connectors. That problem was taken care of like a pro with this FPC to SATA converter. Inspired by our recent spot about Speeding up a ThinkPad, he was able to find information about the FPC connector from a similar Samsung model, order a SATA connector, FPC zero force connector and matching 24pin jumper. From there a board is designed to connect the two interfaces, taking notes of how other drives have their SATA traces laid out to ensure proper function. The board is etched and connectors soldered, with every thing plugged in and tested, a little bit of glue is used to hold everything in the stock netbook’s drive sled, resulting in really fast boot times, and a factory look. must be nice to have a spare 128GB SSD laying around…. That’s where he got the spare 128gb SSD from. It isn’t like an SSD genie gave it to him. Congtatulations on the DIY job. no one else would bother figuring out the details. standard looking sata to zif connectors using 40 pin zif connectors are on ebay from china for like 8 bucks. Those high-speed differential pairs should be matched length and controlled impedance, not just run next to each other. I’m sure it’s close enough to work fine most of the time, but we’re talking 3Gbps signals here, the wavelength is only 10cm! or an old CF in the HDD bay. Most modern linux seems to have a pin autoconfigure. I had fun with this and an old fujitsu laptop. error404: “matched length and controlled impedance” — yeah, I had a feeling there was something like that. I was planning on learning more about high-speed lines if it didn’t work out on the first try, but I guess I got lucky.